The Chinese online market is one of the most promising markets that many businesses want to enter today. In order to begin building your presence, you have to optimize your website for their largest search engine, Baidu. There are many similarities between Google and Baidu, but the differences stand out as well. One of these differences is the way they prioritize rankings. According to Baidu, they are improving their system to take content into account when selecting what web properties to display on their search results pages. 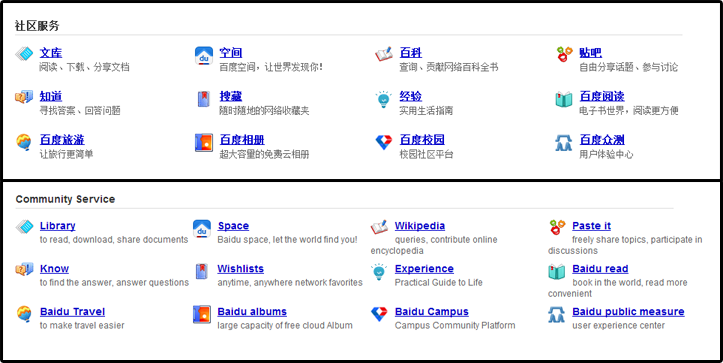 As you can see, Baidu’s features are similar to some of Google’s offerings. Some are pretty obvious (Wenku or Library is the Baidu equivalent of Google’s Books, Zhidao or “Know” is the equivalent of Answers, etc.) and the others (Cang or “Wishlists” has features similar to Google’s Bookmarks, while Tieba or “Paste It” is their equivalent of forums) are very roughly translated, but if you read their definitions you’ll know their equivalent. 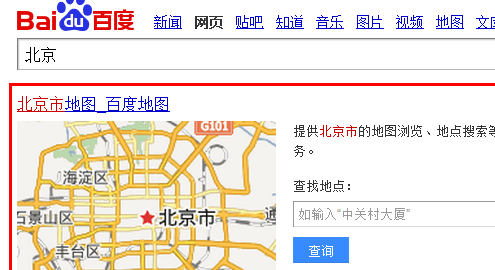 Four out of the ten SERPs displayed are already Baidu properties. 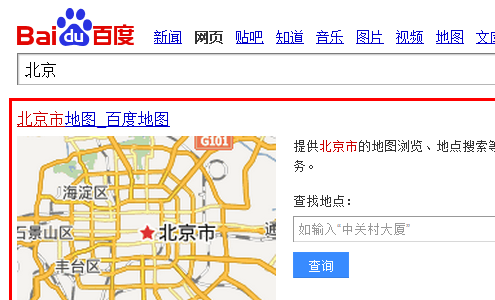 When you visit each page, they are linked and optimized properly for Baidu, which makes it easy for the search engine to pick up information and rank them for the keyword “Beijing.” Majority of the SERPs for other keyword searches are from Baidu as well – I tried it with Hong Kong and other places in China, and the results came out with at least four Baidu results on the first page. From this experiment, you can see that optimizing and marketing your content on different Baidu properties will get you ranking on their SERPs. This isn’t only because Baidu prioritizes its own, just as Google prioritizes Google+. As I’ve mentioned earlier, the links and the tags are properly optimized on Baidu’s properties, making it easy for their crawlers to detect and rank user-generated content from within their community. Beijing Municipal Public Security Bureau’s metadata only features the title. No description and keywords were found. It seems that Baidu has not yet fully developed the way they read content and content marketing mechanisms to rank websites. From the test I ran, however, the website with optimized tags ranked higher than the government website whose only optimization is in their on-page content. While their system is not yet perfect, and other elements are not yet adapted fully (such as rich snippets), they are quickly adapting to the changing SEO scene. It’s the perfect time to improve and implement your content marketing strategy in China – you can establish your business as a reliable information source while Baidu is still tweaking their system, so that you get ranked better once they’ve refined their algorithms. We’d be happy to help you carefully plan your content marketing strategy in China. Talk to us today to get started. https://www.truelogic.com.ph/wp-content/uploads/2014/01/baidu.png 300 495 Clayton Wood https://www.truelogic.com.ph/wp-content/uploads/2018/03/Truelogic-Logo-Colored.png Clayton Wood2014-01-07 16:15:062016-08-30 17:44:43Baidu SERPs: Will Content Marketing Help You Rank?